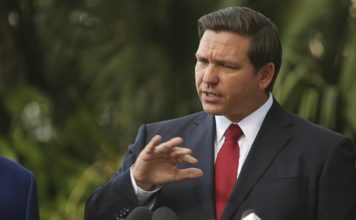 The first political ads for Ron DeSantis and Andrew Gillum have been released. It’s noticeable that the focus of the ads were to look back on their childhood, in a way for voters to get a closer glimpse of how the candidates were raised. “I’m Ron DeSantis. 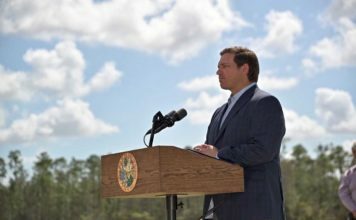 We were only 12 when we learned to dream big, work hard, and swing away, DeSantis said in his ad. “I can still hear my grandmother’s voice. She said go to school, mind your teachers, get your lesson, and one day bring that education home,” Gillum said. The ads focus may not seem like it has to do with the race, but Terry Miller, who is a political consultant says the sentimental strategy will work. “People like to have a personal connection with the candidate that they support. If they weren’t effective, you wouldn’t see both campaigns doing it,” said Miller. Voters we talked to say these types of ads make the candidate more likable. “I kind of spoke to us on a more sentimental side. Kind of gave us his background and try to make us feel a connection to him. I think a lot of people can relate to his message,” said Juliana Delorenzo, who is a Fort Myers resident. Miller says these ads will begin to focus more on the platform each candidate is running on, in the near future. “They’re going to delve much deeper into the issues, much deeper into their opponents weaknesses, as well as what their actual platforms are,” Miller said.